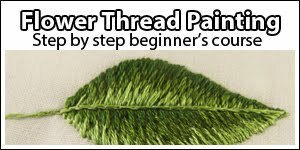 A blog about embroidery, fabric painting, dyeing, applique, stitches, etc. 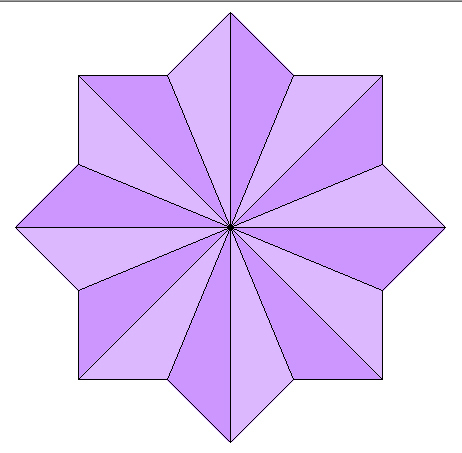 Draw a continuous interlacing geometry motif. 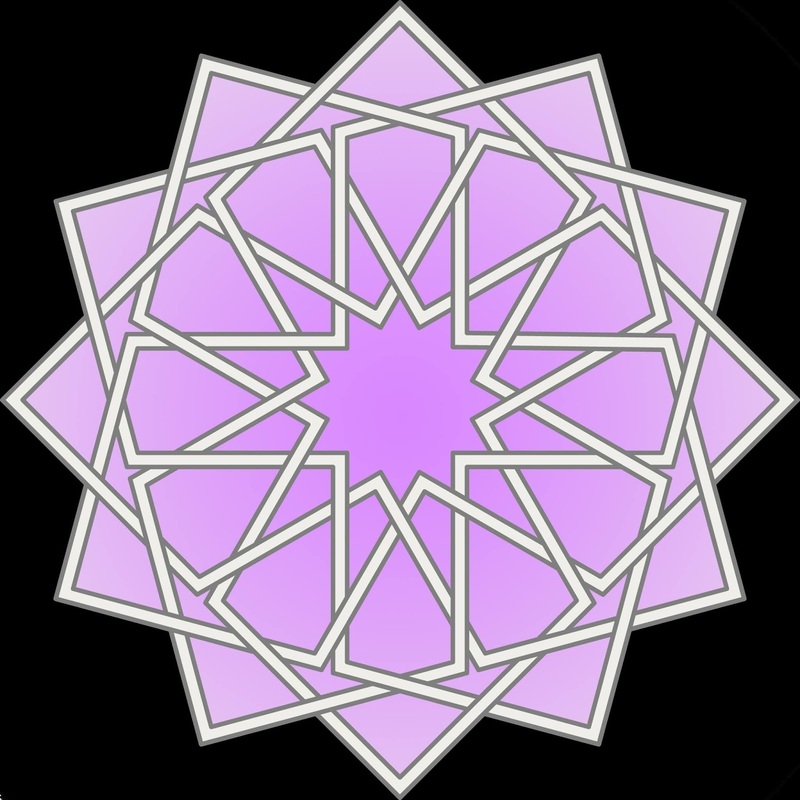 Follow the step by step instructions to draw one of the most common, yet daunting patterns in Islamic Geometry. 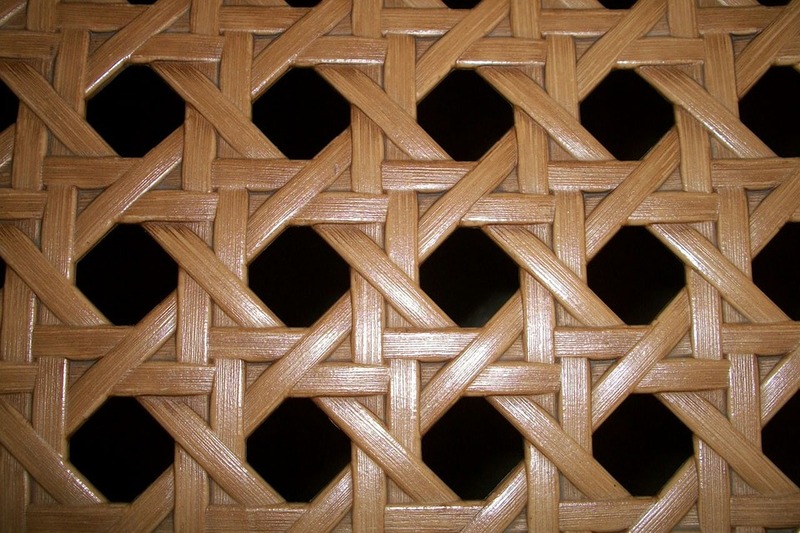 A continuous interlacing geometic piece. 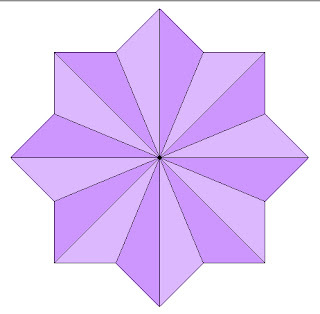 In islamic art, the 8-pointed star motif is referred to as khatim or khatim-sulayman, meaning "seal of the prophets". Follow the step by step instructions to draw one of the most common motifs in islamic art. 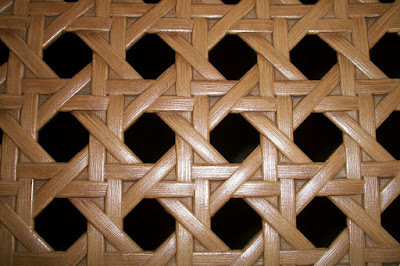 Macrame is a hand knotting technique, used to produce elegant textiles. Watch this explicative video to learn hot to make a really beautiful makrame curtain. Macrame curtains look great in different modern interiors, especially in bohemian, contemporary and other. In the market you can find many well written boooks, teaching you step by step macrame techniques, with instructions and inspiration photos. 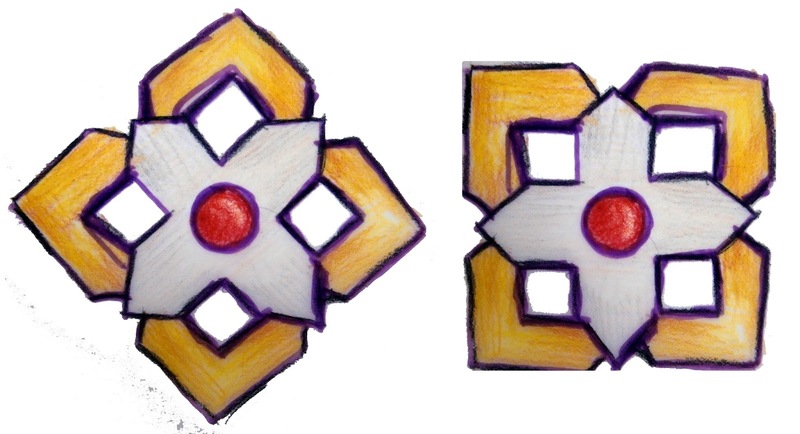 Designing interesting and original patterns and motifs is an essential skill in textile and jewelry design. Let's see some simple and classic techniques that are taught in major design schools. 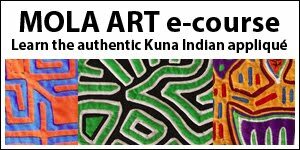 These techniques will learn you how to start from a simple and ordinary shape and create a more complex and original design. 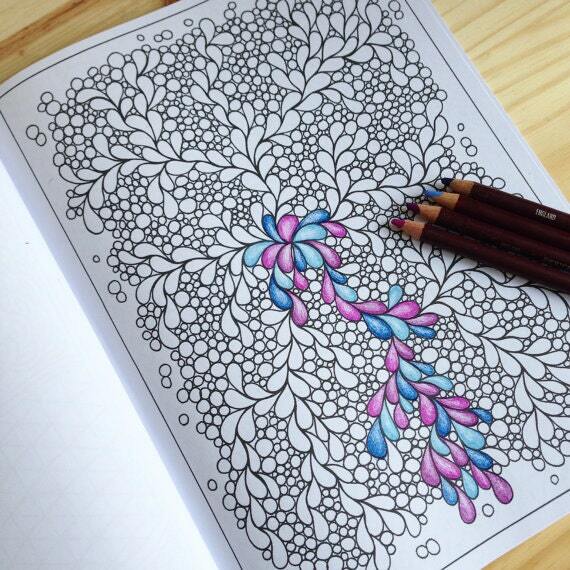 Coloring Pages and Coloring Books are already a classic trend for both kids and adults. Colorists claim that their work is not only addictive but also original and creative. It is true that many coloring pages are so well designed and colored in that they could easily be categorized as art pieces, worth to be framed and displayed. Both the illustrator of a coloring page and the colorist contribute to the final result. There are many black and white illustrations and designd that could be transfered to textile prints, stitching, applique etc. Take a look at some coloring pages that could probably inspire a textile artist and designer. Mikis Theodorakis, one of the greatest Greek musicians and song writers, examines with gentleness and admiration the embroidered work of his daughter. How to make a stiff fabric bread basket. The colors are only indicative and you can select your own color scheme.